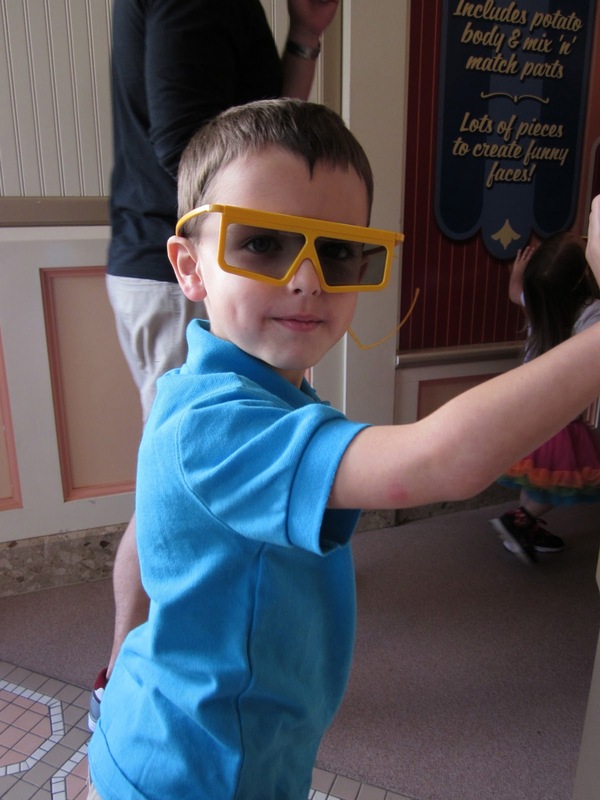 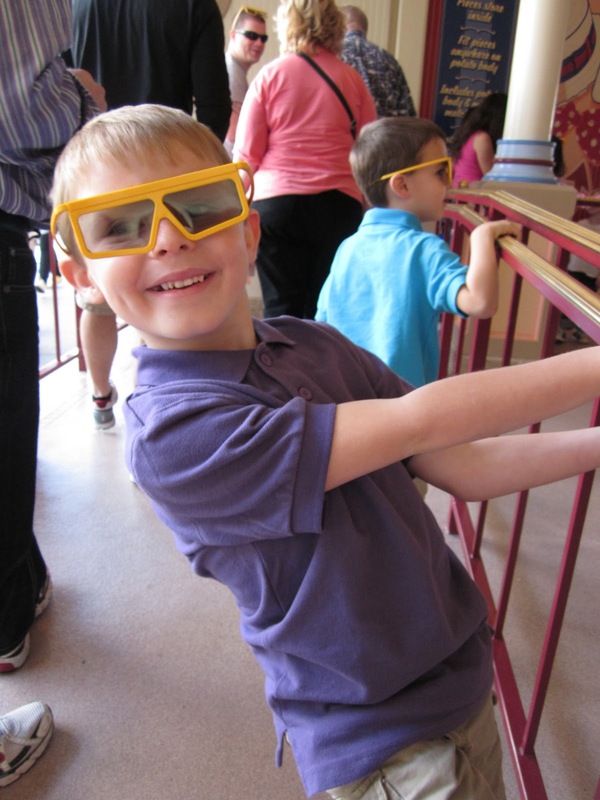 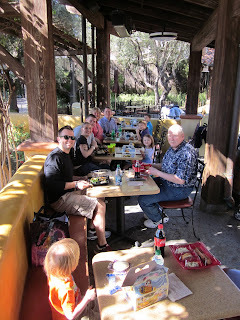 Enjoying Life With 4 Kids: Disneyland- Day 1, We're Here! 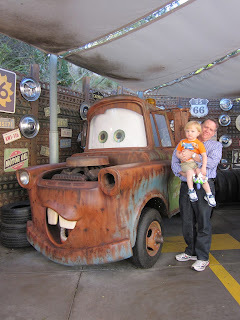 Grandpa took Parker to see Mater and Lighting McQueen while the rest of us were on Soarin'. 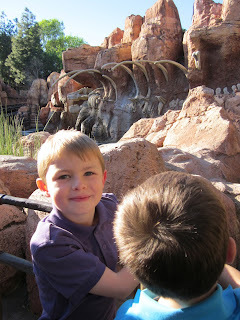 Waiting for Big Thunder Mountain Railroad, this was Cooper and Emma's first time going on it. The kids, looking so cute and so excited to be here!